The All India Institute of Medical Science (AIIMS) College Delhi is one of the premier medical colleges of India. It was established in 1956 by an act of the Indian Parliament. The AIIMS is an autonomous medical college which conducts its own UG, PG, and Ph. D exams. 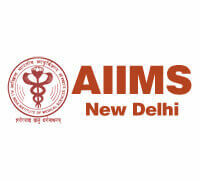 There are seven branches of the AIIMS located in different states of India. The AIIMS colleges function as the research and development centres and universities also. The AIIMS have recognition under the MCI (Medical Council of India). It is a UGC recognised medical college. The AIIMS imparts quality education to students by providing them access to the modern laboratories, library, sports, research facilities, and clubs. A candidate should have a minimum score of 60% marks (Reserved Category candidate’s 50% marks). The candidate should appear for the AIIMS UG exam. The candidate should have done MBBS from UGC recognised college/institution with a minimum aggregate of 55% marks.